Many small business employers want to provide a 401k to help their employees, but don’t think they have time or resources to manage a retirement plan, or don’t think they can afford one. However, with the budget-friendly, easy-to-use 401k solutions from Ubiquity Retirement + Savings™, small business owners can take advantage of the business tax benefits of a 401k plan and offer competitive retirement plan benefits for employees. A 401k plan can be adopted by any employer other than a state or local unit of government. A small business 401k is defined as a 401k plan for a company with anywhere from one to 100 employees. At Ubiquity, we specialize in the retirement plan needs of small and growing businesses, including owner-only and start-up businesses. If a business only employs the owner, or only has employees who would not be eligible to participate in a plan, then our Single(k)® plan would your best option. Setting up a 401k can be complicated. Only Ubiquity gives small business owners access to 401k experts in addition to industry leading low flat-fees. Not too familiar with 401k plans? No problem – we’ll give you the lowdown. No confusing language or too much financial jargon. Just a clear, concise, simple explanation. 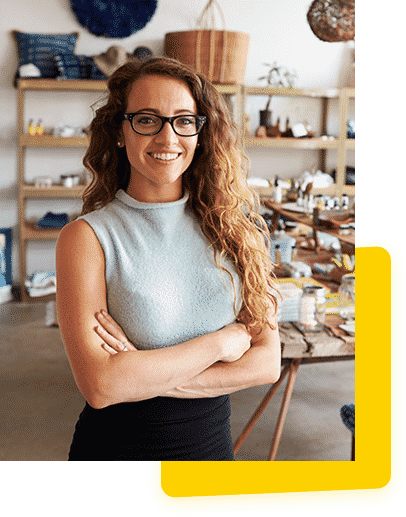 Download Ubiquity’s Guide to Small Business 401k Planning and learn how a 401k can help lower your taxable income at a low fee and help you and your employees achieve greater financial security. After almost two decades helping small business owners overcome their fears related to saving for retirement, we understand what’s holding you back, and we’re always here to help. The Ubiquity 401k Guide can help you better understand your small business 401k options, and help you find the right small business retirement plan. Our retirement planning experts will work closely with you to develop a retirement strategy that meets your needs and delivers beyond what you may have thought possible. Business owners who are looking to maximize their savings can contribute a significant amount to a 401k each year. Plan contribution limits for owners and high earners may be reduced if other employees are not actively saving in the plan. Ubiquity retirement plan consultants work with each business owner to identify the optimum plan design and resources to meet their individual needs. Business owners may be able to claim a tax credit for the administrative expenses of establishing their first retirement plan. The tax credit is equal to 50% of eligible start-up costs, with a maximum of $500 per year for three years (total of $1,500). Ubiquity manages all five steps for business owners online or with the help of a Retirement Plan Consultant. Our consultants have an average of 10 years experience and can help you navigate the 401k landscape–no obligation. Our team is here when you’re ready to get started on your 401k. Schedule a time that works for you. Once a 401k is set up, the business owner will work with the chosen service provider to make sure the plan operates according to the terms of the plan document and in compliance with other IRS tax rules that apply to 401k plans. Ubiquity helps small business owners handle all of these plan maintenance steps. Start here to set up a plan. One of the most important responsibilities of a business owner operating a 401k plan is to deposit plan contributions that are withheld from employees’ paychecks. Business owners who do not make timely deposits may be subject to IRS and Department of Labor DOL) penalties. Small businesses (those with fewer than 100 employees) need to meet deposit requirements within seven days following payroll. Contributions made by the business owner (e.g., matching, profit sharing) must be deposited by the business’s federal income tax return due date, including extensions. If you are a small business owner and need a 401k plan for yourself and your company, only Ubiquity offers flat-fee plans plus free expert advice. We will fully customize your 401k to meet the specific needs of your small business. Setting up a 401k can be complicated. Only Ubiquity gives small business owners access to 401k experts in addition to industry leading low flat-fees. Each sales expert has over a decade of experience assisting business owners in 401k plan design. Take advantage of this free benefit.